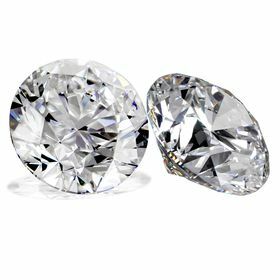 Each Renaissance created diamond is 1.00 carats and VS2 clarity. Amazing cutting, polish and finish. Each diamond is accompanied by an IGI grading report and a certificate of Eco-Friendly Origin.